For over 50 years Big Buddy of the Cape Fear has been providing positive role models and quality learning experiences for the under-served children of the Cape Fear Region. 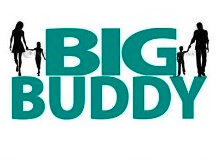 The Big Buddy Professional Board was created to bring community involvement to the continuity and growth of the Big Buddy Program. We meet once a month to discuss, plan and carry out Big Buddy programs and fundraising events. Growing up, we all have had a mentor; someone we look up to and aspire to be like. Whether that person is a parent, older sibling, teacher, or counselor, they play an active and positive role in our lives. But for some children, having this positive influence is no guarantee. The Big Buddy Young professionals are trying to change this right here in Wilmington. The Cape Fear Volunteer Center’s (CFVC) Big Buddy program is a one-on- one mentoring program that matches “at risk” youth ages 5-16 in New Hanover, Pender, and Brunswick County with positive adult role models. Youth are identified as “at-risk” if they have had involvement with the Juvenile Justice system, excessive in-school and out of school suspensions, poor academic performance, or lack of a positive role model. The mission of Big Buddy young professionals is to network, raise awareness, share their message, and be a community representative of the Big Buddy program. Valarie Reed-Kovolski, a big buddy herself of several years, became the chairman of the Big Buddy Young Professionals (BBYP) in December 2015. With 12 members currently, they are seeking to grow and continue supporting the Big Buddy program in any way they can. Each year, the BBYP plans and hosts fun activities for Big and Little buddies, networking events, and fundraisers, such as a volleyball tournament in October, or the ‘Big Buddy Shootout’ basketball game. “The positive impact it has had on my life is huge!” commented Valarie, “but the difficulty lies in creating traction for the program in the community.” It takes a tremendous amount of effort, time, and resources to keep this program running and it would not be possible without dedication from committed volunteers at all levels. Truly community supported, the Big Buddy program does not exist without support and active involvement from the citizens of Wilmington.